MABALACAT City Mayor Crisostomo Garbo has vowed to continue his fight against corruption in the local government. 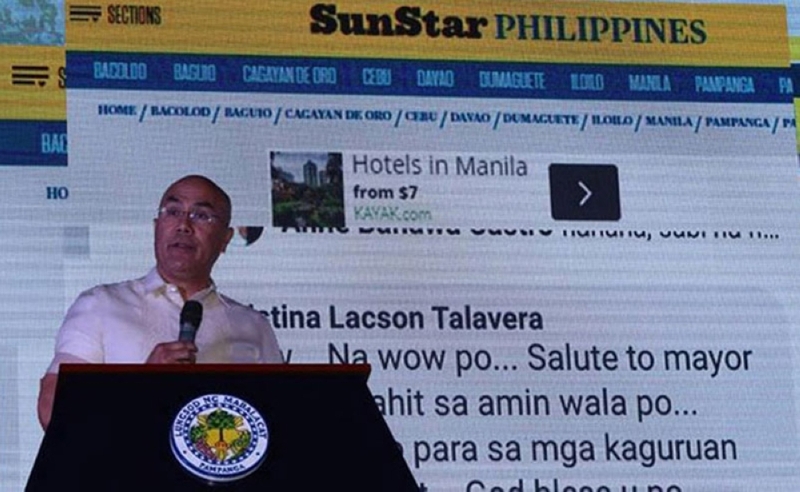 During his State of the City Address (SOCA) at the Asean Convention Center in Clark Freeport on Monday, July 9, the mayor said he will not tolerate corruption under his administration. “As for corruption, it is the culprit in every government system which we do not tolerate and condone,” he said. The local officials established the bids and awards systems where all suppliers have to go to processes imposed by the government without shortcuts and influence of anyone in power, according to Garbo. “Although the process takes time, this assures our people with the accountability and transparency of our administration,” the mayor added. “We use the merit-based selection program to build this process of selecting right people in our offices and departments,” the mayor said. During his one-hour speech, Garbo thanked the city employees for rendering quality service for the people of Mabalacat. “Let us applaud our city employees for their ‘Service with Smile’ in this thankless job. For this, we became a finalist for Best LGU in Customer Relations, Provincial Category, given by The Central Luzon Growth Corridor Foundation Incorporated. Congratulations to all,” the local chief executive said. Garbo also cited the nine pillars of governance under his administration which include Equal Access to Education, Excellent Health Care, Economic Development, Better Employment Opportunities, Culture and Heritage Awareness, Strong and Moral Values of Citizenry, Integration of Science and Technology in Governance and Delivery of Services, Protection of Environment and Promotion of Peace and Order. The mayor also announced the procurement of vehicles to support the city’s various programs especially on health, peace and order, and others. He said the local government has partnered with medical centers in Clark and Pampanga to save the lives of ailing Mabalaquenos. “We built rural health units in Poblacion, Dau, and Mabiga. In Mabiga alone, 250,000 people availed of medical assistance on non-communicable diseases, immunization, tuberculosis and HIV treatment care. We employed 21 medical specialists,” Garbo said. 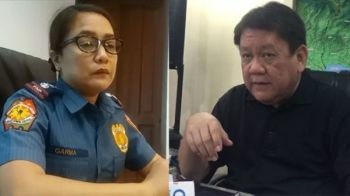 The mayor also disclosed city officials’ plan to build a new city hall in Barangay Mabiga which, he said, is the center of the city. “The first infrastructure that will soon rise in Mabalacat City is the New City Hall and Government Center. It will be strategically located at the center of the city accessibility,” Garbo said. “Why we need a new government center is like asking why we need to transfer to a larger house with more amenities and with close proximity to almost everything. I want every Mabalaqueno to be closer to home and to give that sense of pride that this is our city hall, it’s big, it’s nice and services are fast,” he added.